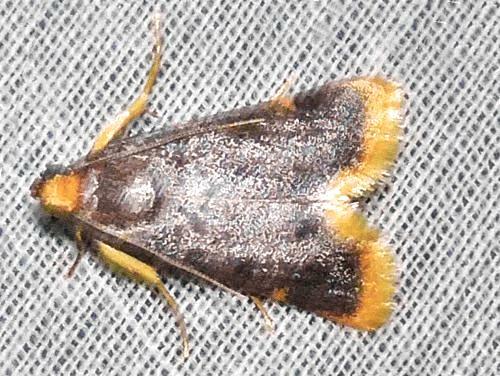 The adult moths of this species have brown forewings each with a yellow margin. The hindwings are brown fading to white at the bases. The wingspan is about 1.5 cm. The species is found in north Queensland. Volume 29, Part 2 (1904), pp. 408-409, No. 233.